Dave Rennie was "really disappointed" with Glasgow Warriors' "loose" second-half display after a "clinical" first 40 minutes in their rout of Zebre. Warriors led 35-3 at the break but scored only seven points thereafter as they moved top of Pro14 Conference A with Munster losing to Scarlets. Rennie's side have now won four league games in a row, earning a four-try bonus point in all but one. "We've done well in this period, picking up 19 points," Rennie said. "We've got to keep working hard. Munster losing to Scarlets is a great result from our perspective too, it puts us back in control. It's a nice way to finish this block." 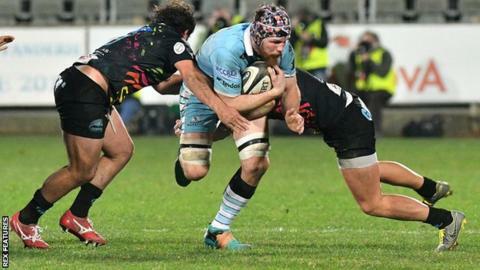 Both teams scored seven second-half points in Parma as Glasgow finished with a haul of six tries in their 42-10 triumph. "We were really happy with the first-half. We were clinical, we created pressure through our defence and were rewarded for that," Rennie told Glasgow's official website. "The game was gone by half-time, but we were really disappointed with the second half. We were just too loose and lacked discipline at key times. We thought the job was done and that we would run over the top of them."